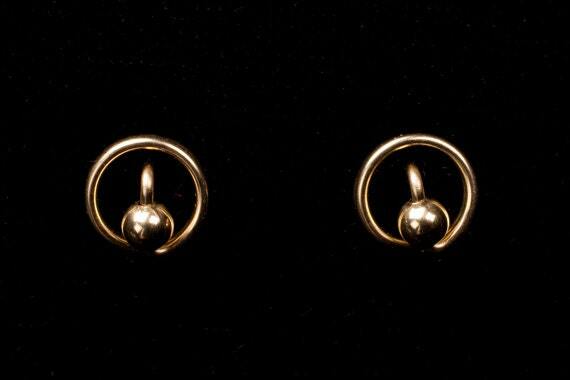 These tiny earrings measure about 7mm in diameter. You may order them in a range of beautiful niobium colors, or in sterling silver or gold filled. You also have a choice of colors of dyed riverstone beads or a number of metal beads - create your own combinations. You may order 2 pairs for $22 or 3 pairs for $32- just look for them under sets in my shop. These little earrings are a great way to test out niobium if you have never tried it - I offer it with a money back guarantee - as it is a pure metal it is extremely rare for anyone to react to it. This design has been a best seller since I first designed it in 1986! At these prices you can afford a few sets - to go with your whole wardrobe. This design is also great for men, or for young children.